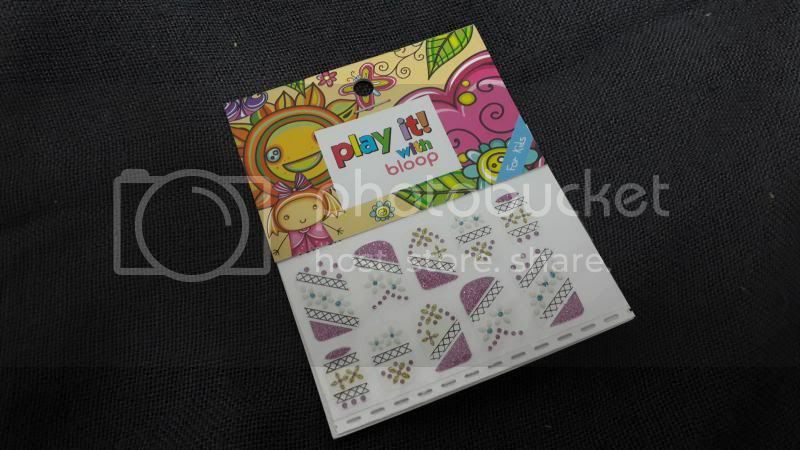 Anyway, today I am happy to review another awesome nail sticker from bloop thanks to HiShop Malaysia. 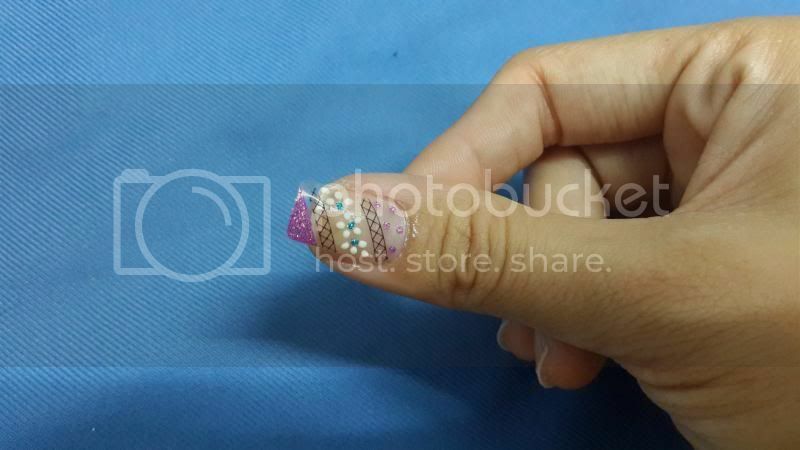 This nail sticker has two sizes which is for adult and kids. The one I received is kids sticker. Since it is suitable for kids,it is alcohol-free and fragrance free. Besides that, it is also non allergic to kids' skins and it is not suitable for child under 5 years old. 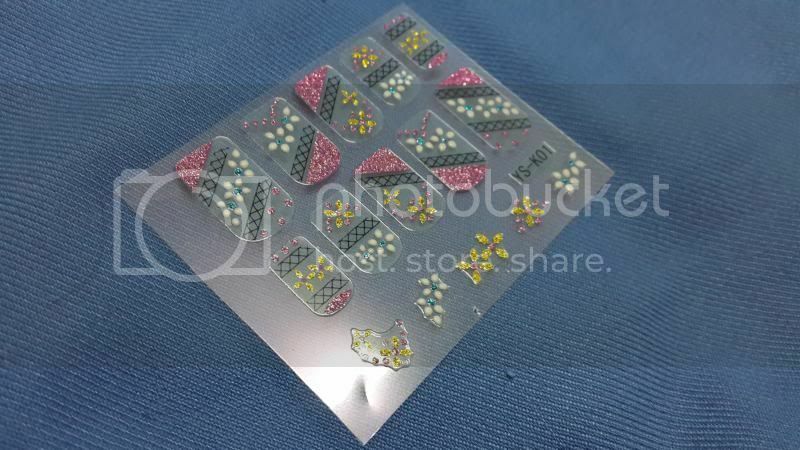 Kids can now decorate their nails with pretty stickers instead of nail polish which takes time to dry when applied. Let me show how it was applied on my nails. 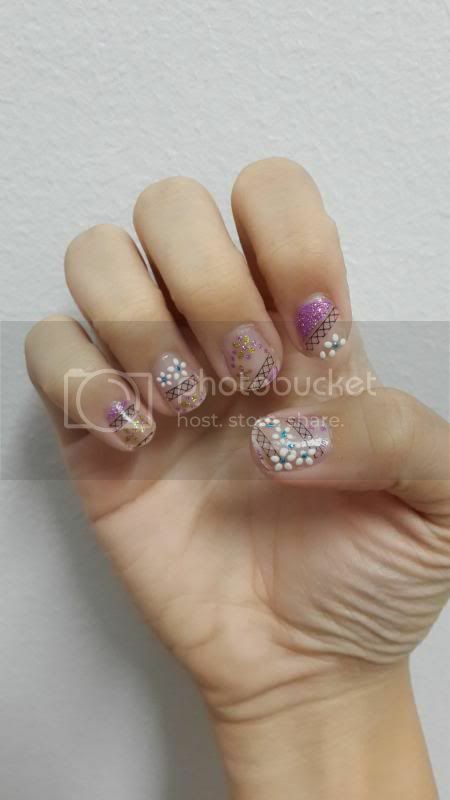 (: The steps of using this nail sticker are almost the same as the nail strip I have tried from bloop as well. 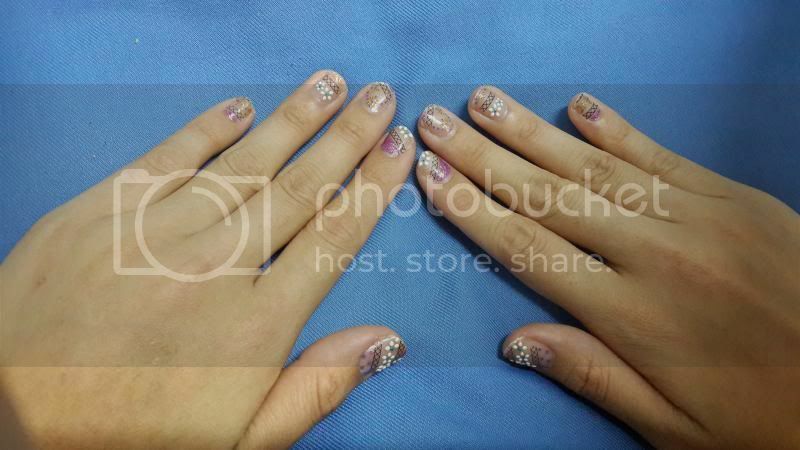 You guys can check my link of my blog post on the nail strips here: http://janiceyeap.blogspot.com/2013/12/review-bloop-nail-strip.html. All you have to do is to choose the best strip size for each nail. 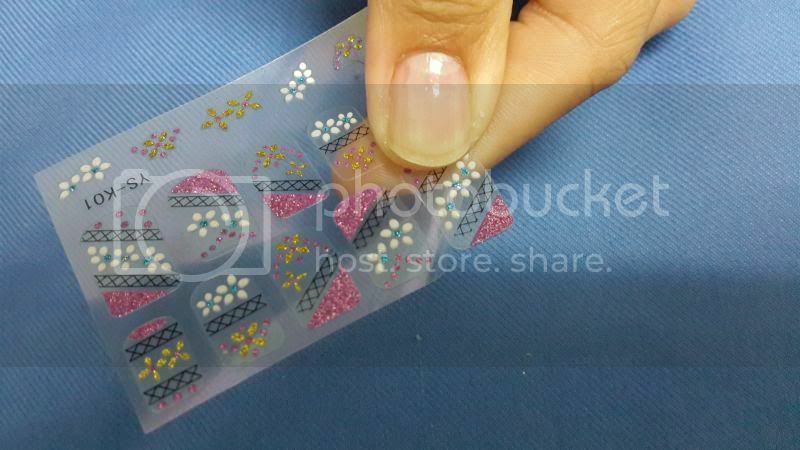 Remove the sticker from the transparent film and place on the nail which is suitable for the strip that you have removed. 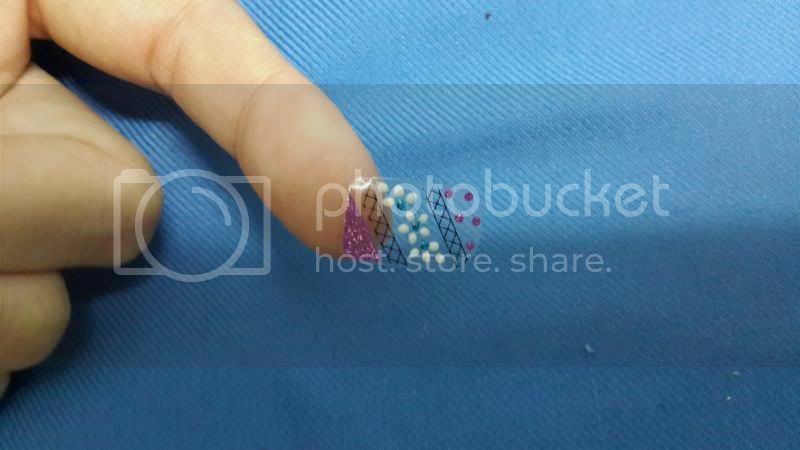 Then align and place the nail strip on to the nail where the round edge facing the cuticle. Next, remember using a nail file to file off the excess strip in a downward motion. And it's DONE! You can look at the overall of the nail stickers that I had place on my nails! Pretty right? I love this nail strip because it is fast and easy to use by just peeling off the sticker from the film. Another advantage is that there's no drying time which you don't have to worry that the sticker is ruined and this nail strip can last about 5 - 7 days. (: *wide grin* It's only available at RM9.90 at bloop website: http://www.bloop-bloop.com. or check out BLOOP on Facebook for more information: https://www.facebook.com/bloopinc.